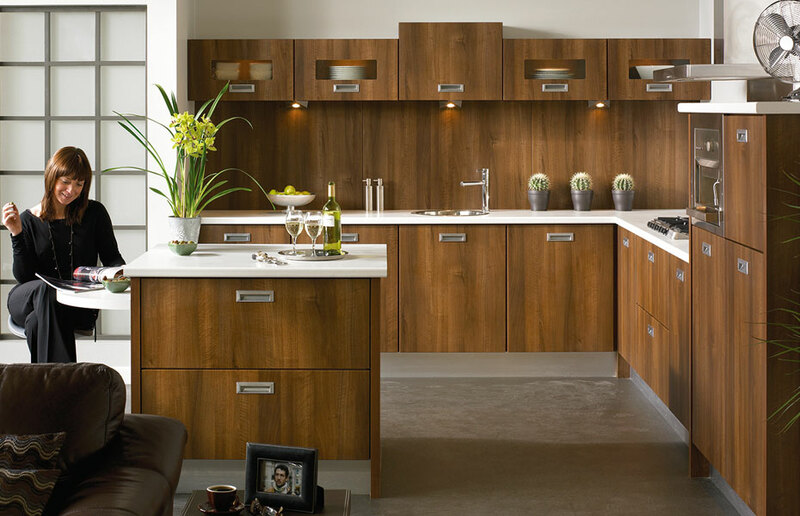 The warmth and richness of the Dark Walnut effect fascias combined with recessed Letterbox handles offer a clean sharp look. The stainless steel appliances are offset by simple decor to create a feeling of modern living. The perfect place to cook, relax and entertain. 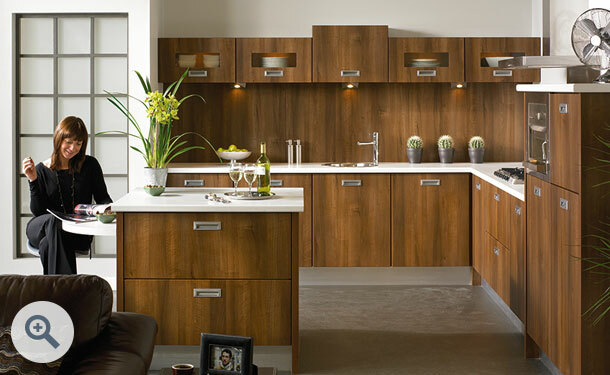 Click the button to purchase a Sample Premier Letterbox design door in the Dark Walnut finish.